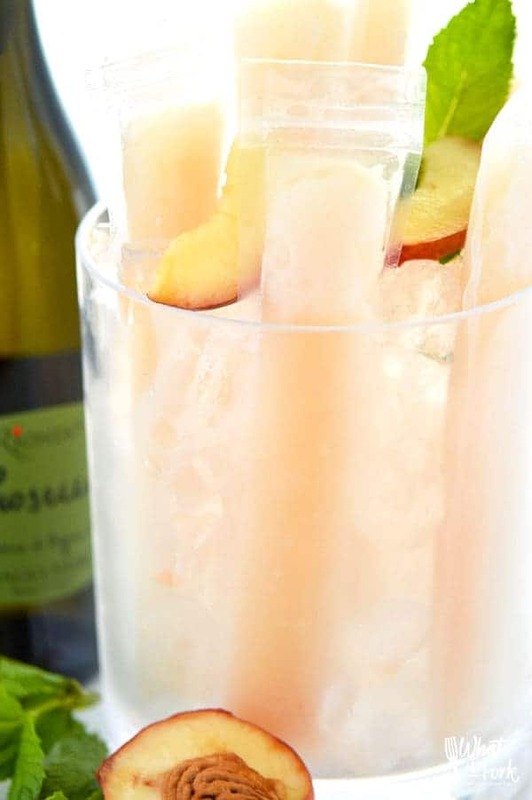 These Peach Prosecco Popsicles are the perfect treat for hot Summer nights. 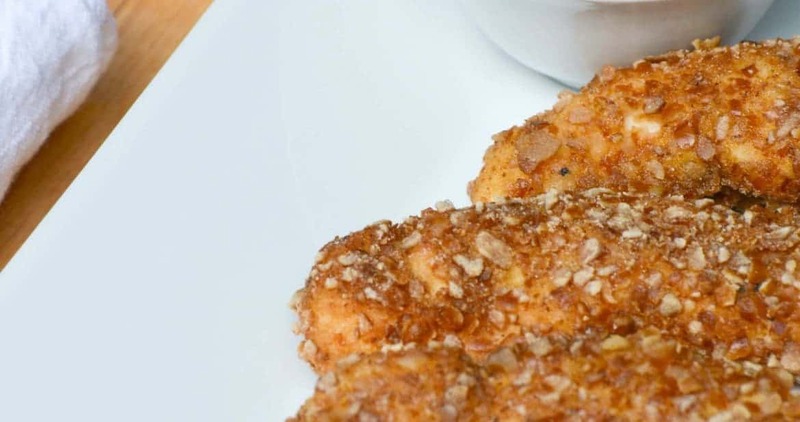 They’re so simple and easy to make, with just three ingredients! 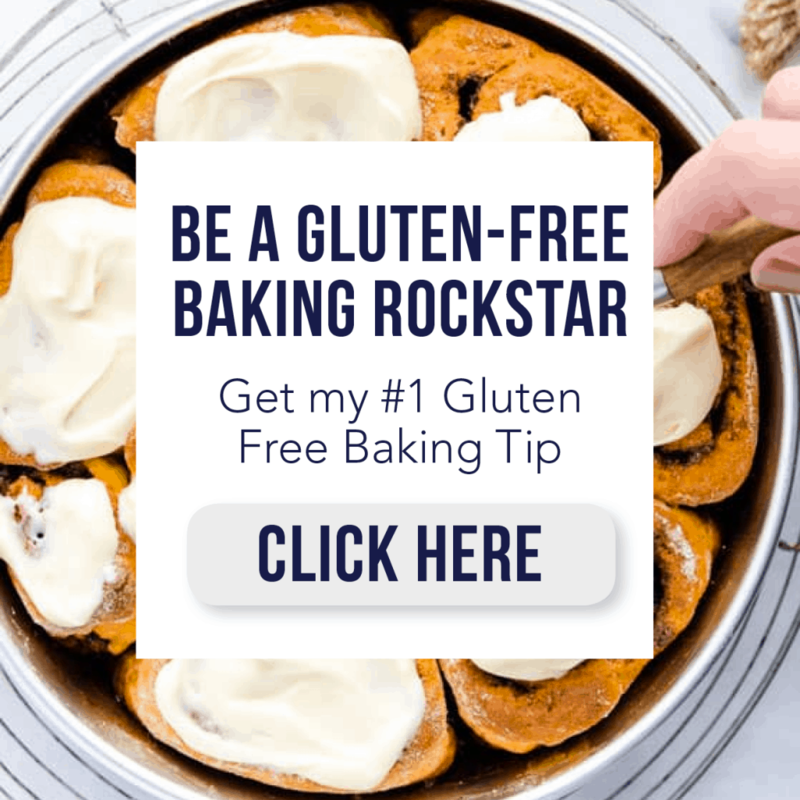 This post was sponsored by Riondo Prosecco through their partnership with POPSUGAR. While I was compensated to write a post about Riondo Prosecco, all opinions are my own. 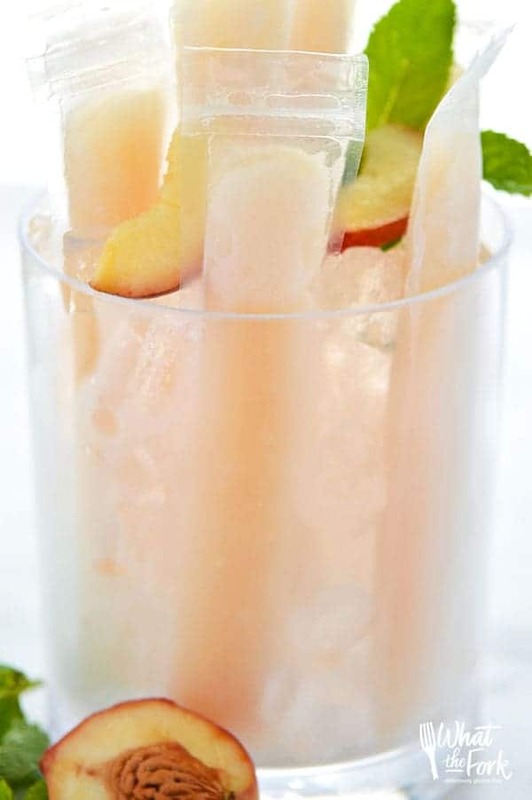 If you guys love Bellinis (Bellini cocktail), you’re going to LOVE these Peach Prosecco Popsicles! They’re basically a frozen, summery version of the classic drink. Bellinis are a super simple cocktail: peach puree with Prosecco and sometimes a little sweetener. 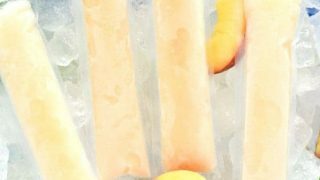 I stuck with that easy concept, and there are just two ingredients in this Prosecco popsicle recipe . . . three if you want to add a bit of sugar for sweetness if your fresh peaches aren’t super sweet. 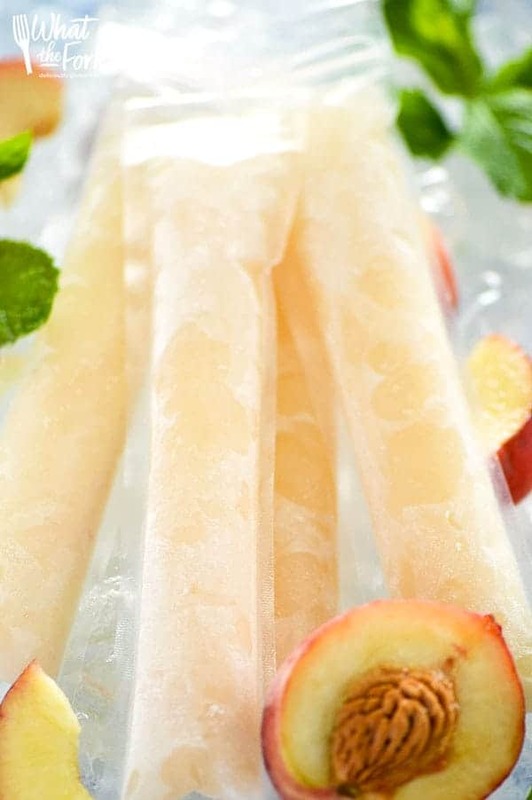 This is such a great Summer recipe because popsicles are always a fun treat in the Summer AND peaches are in season. You guys know how much I love my fresh, straight-from-the-orchard peaches after my declaration of love for them in my fresh peach daiquiris post. They’re just so sweet and juicy! And the sweeter the peach, the less sugar you’ll have to add to these. Prosecco Popsicles are BIG right now, and there’s no need to go out and search for them at your grocery store. 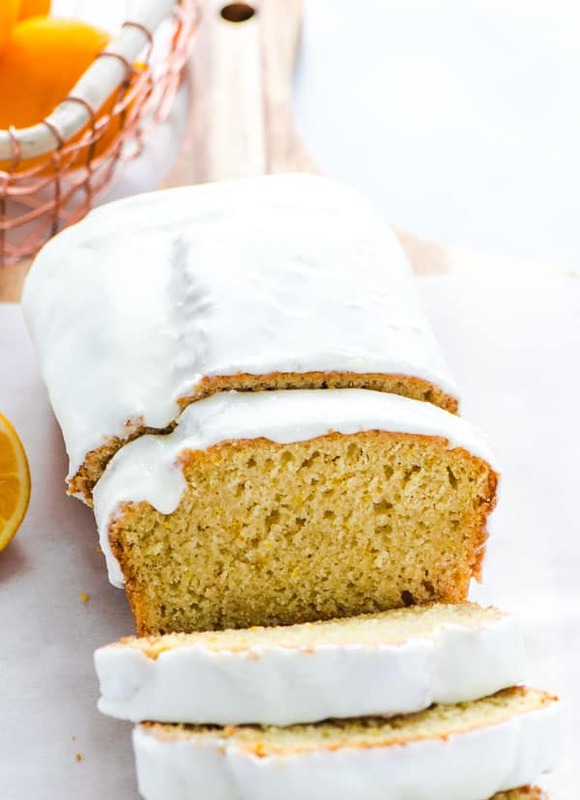 They’re super easy to make yourself, and when you make them at home, you can completely control the taste, ingredients, and how much sweetener you want to add (if any). For the Prosecco, I used Riondo Prosecco. It’s easy to find, and it tastes so good! It’s such a fun, fun change-up from your regular wine or go-to cocktails. And contrary to what you may think, Prosecco doesn’t have to be fancy or reserved for special occasions! Mixing it up into something casual like a popsicle is pretty much as laid-back as you can get. You’ll definitely enjoy these on hot Summer evenings hanging out on the porch or by the pool. I’m getting excited for Summer just thinking about them! And be sure to check out Riondo’s Cocktail Page for more Prosecco drink ideas! The possibilities are truly endless. 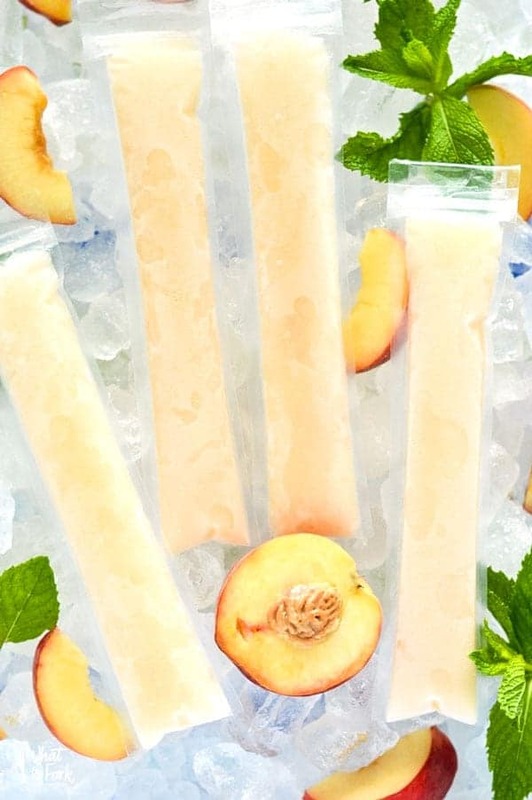 Also, just a little friendly heads-up on these Peach Prosecco Popsicles: they’re clearly not a kid-friendly treat as each popsicle contains an ounce of Prosecco. Be sure to hide these away in the freezer. You can always make the kids some homemade fudgesicles; I’m sure they’ll appreciate the chocolate. Enjoy! 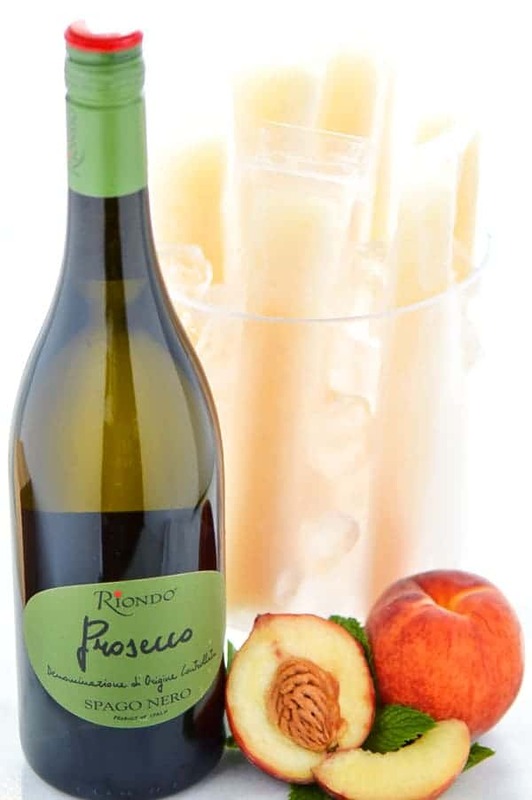 Add the Prosecco, sliced peaches, and simple syrup/sugar to a blender and blend until smooth. Pour into popsicle sleeves or popsicle molds. Freeze until solid, at least 1-2 hours. 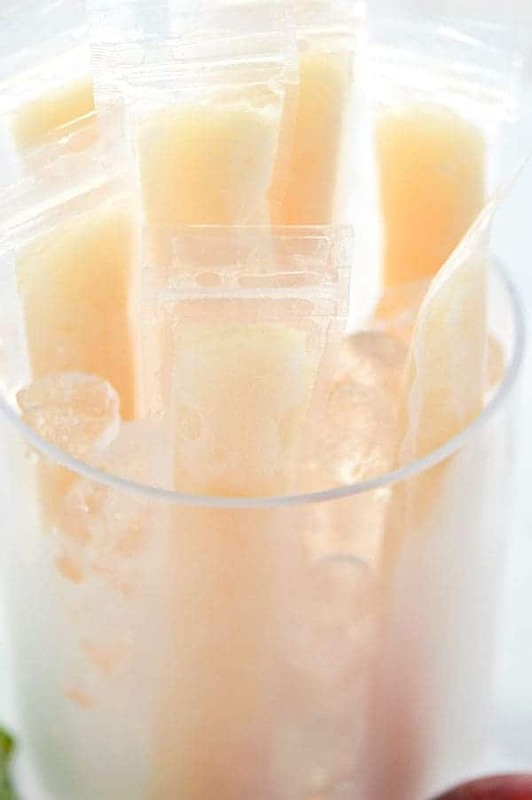 I used white peaches, so the color of my Peach Prosecco Popsicles is on the lighter side. If you use darker peaches, they will yield a darker popsicle. The color will have no effect on the flavor. I froze mine flat on a sheet pan and had no issue with them leaking or spilling. Just don’t fill past the fill line, or if your sleeves don’t have a fill line, leave an inch at the top. 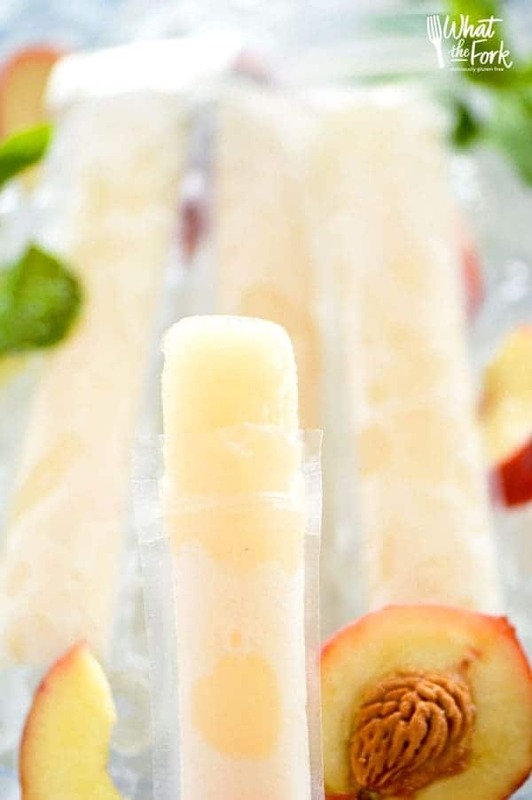 This will make less than 16 popsicles if you use a mold instead of the sleeves. Now this is a Popsicle I can fall in love with! Peach is such a refreshing flavor. I’m totally drooling over these popsicles! My girlfriends are going to love me on our next Moms Night In!! Bellinis are my absolute favorite! 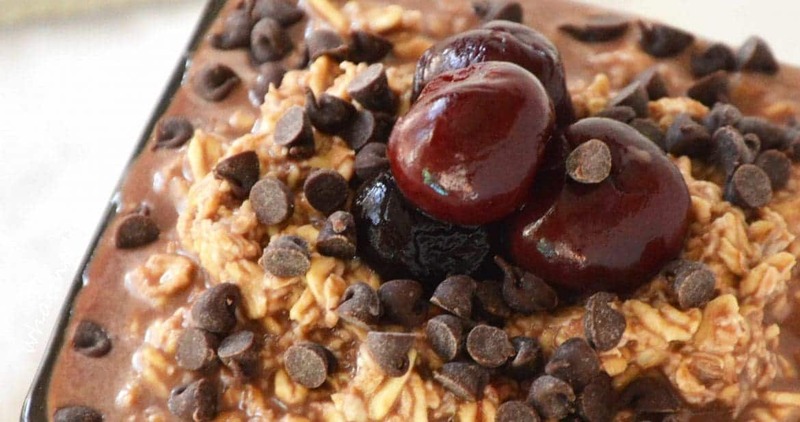 Love that you made this into a frozen treat! LOVE LOVE LOVE prosecco and know I’ll love the popsicles! Am definitely pinning this for next summer!! !